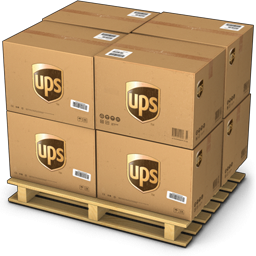 Royal weddings don't have to be in a castle. They just have to make the bride, groom and all the guests feel like royalty for a day. And, this elegant favor helps to do just that! 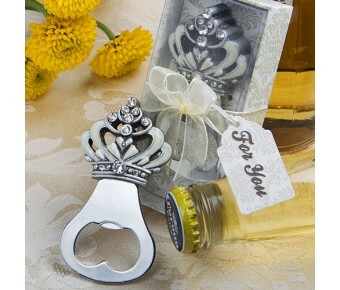 From Fashioncraft's exclusive Royal Wedding Collection, each bottle opener measures 3" x 1.75" and has a sturdy silver metal bottle opener base with an opening fit for bottle caps, topped with a majestic crown shaped charm in detailed, cut out, pewter colored poly resin with an ivory enamel inlaid design and fabulous rhinestone accents. 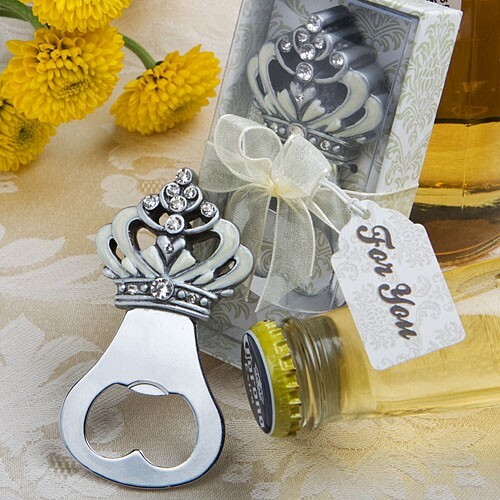 Each crown design bottle opener favor comes in a clear topped box with a beautiful pale olive and ivory damask design bottom, wrapped and tied at its center with a white organza ribbon and an attached matching design "For You" tag, for a sophisticated look.